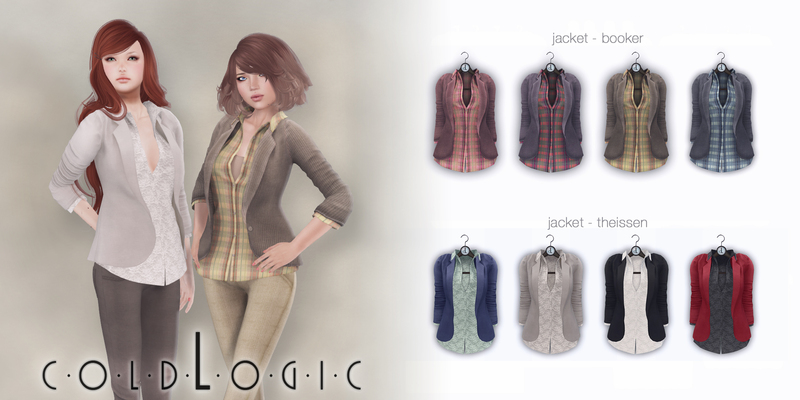 New at coldLogic today are a couple of shirts and dresses that come with tied sweaters and shirts. The shirts can be worn with or without the sweater and can be tucked or untucked (works best with ‘151’ pants!) and the dress can be worn without the skirt section to look like a tank. There is a lot of customisation available for these awesome new items so feel free to experiment and express your own style! Happy Wednesday! 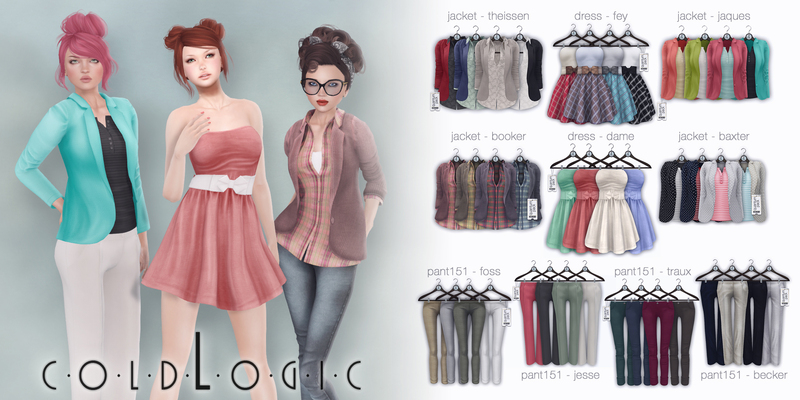 Lots of new items at coldLogic today, two new dresses, four new pants and four new jackets with layers for multiple styling options. As usual, these items are available in standard sizing and fitted mesh for Physique, but also made with other mesh bodies in mind for a perfect fit. 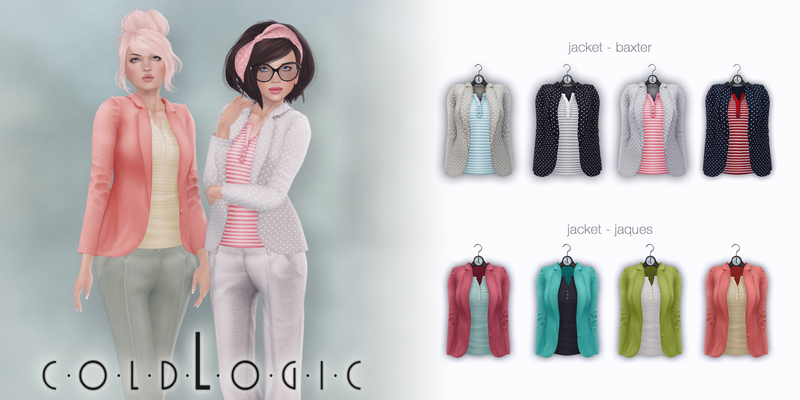 Available now on the Marketplace and at the main store. 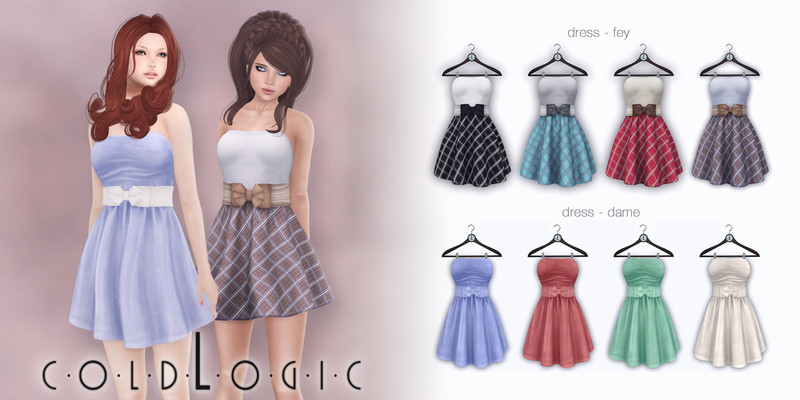 Available now on the Marketplace and at the main store.